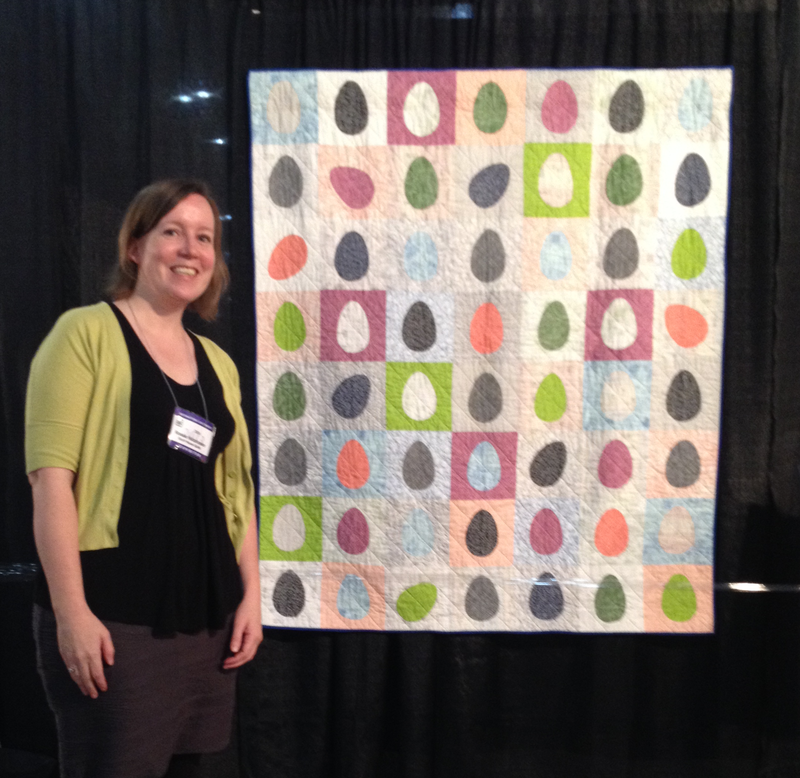 I went to QuiltCon and had a great time. I want to keep track of my favorite photos of friends and some inspirational bits and pieces. 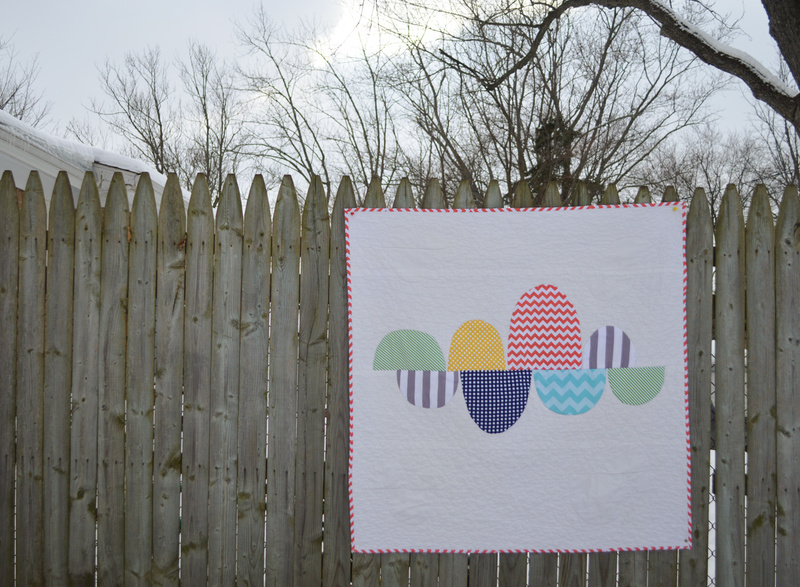 I’m heading off to QuiltCon! I plan on eating and drinking and learning and laughing for five days straight. I whipped up a couple of tops I hope to share soon, as well as a quilted sunglasses sleeve and a notebook cover! 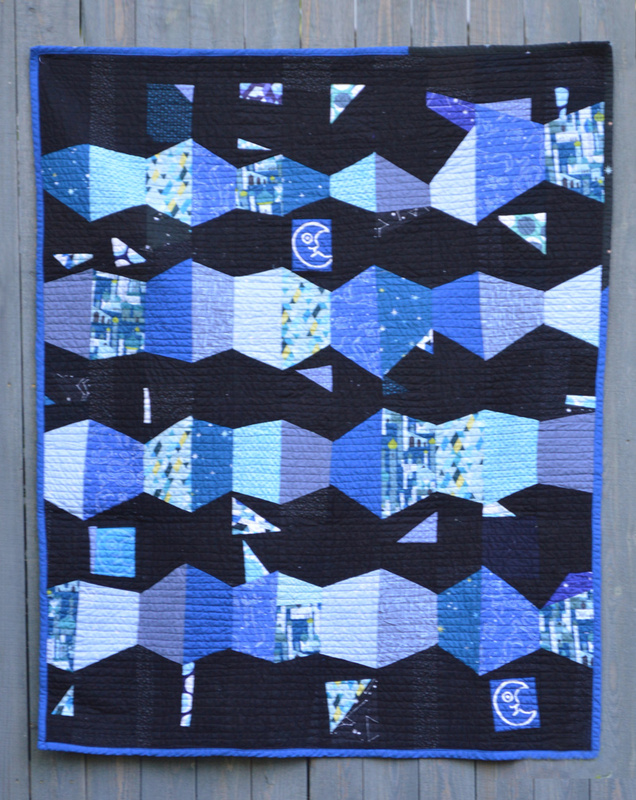 Look – I’ve already collected quite a few pins for the #quiltconpinswap! Fabric is from Carolyn Friedlander’s beautiful line, Doe. 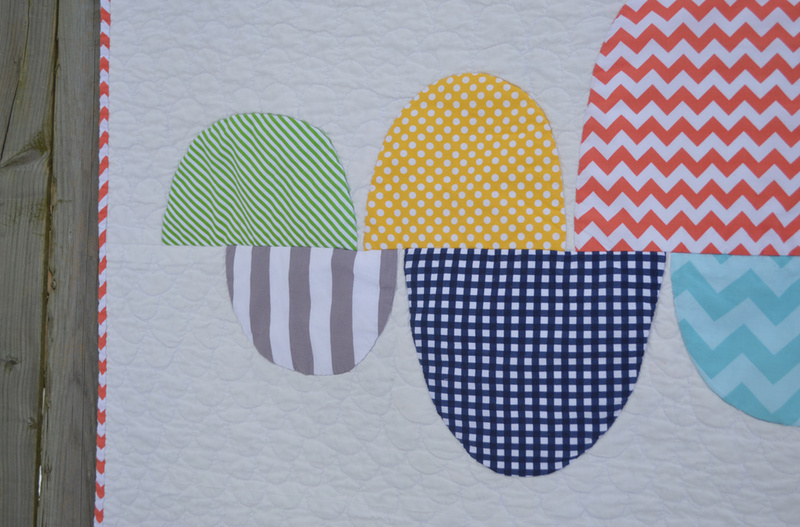 Happy little cloud bumps made using my sew-and-turn applique method explained here. 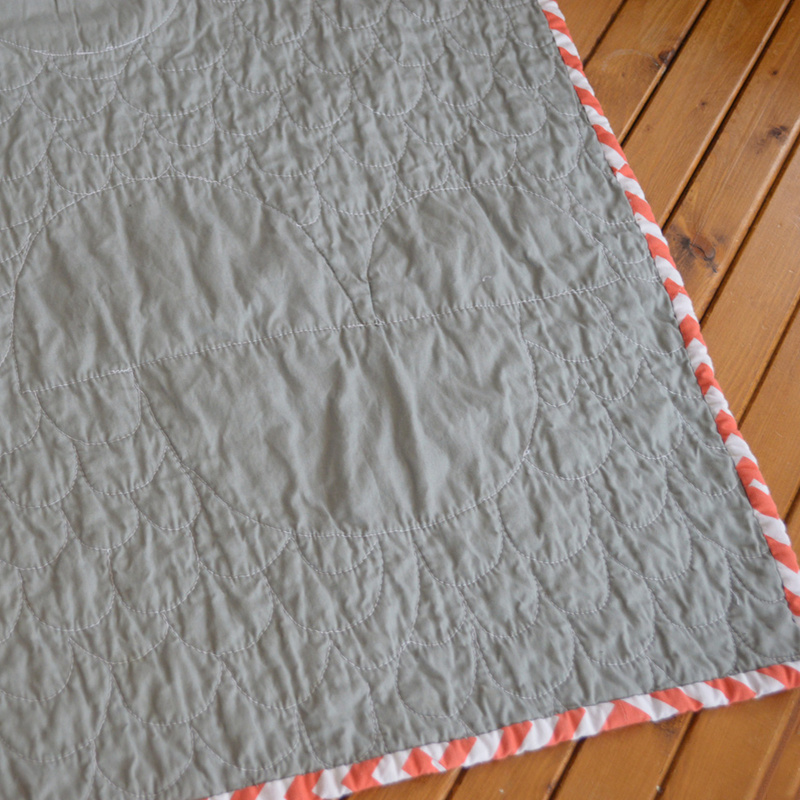 It’s not blanket stitch, not raw edge, not needle-turn – it’s sew and turn and it’s my favorite! 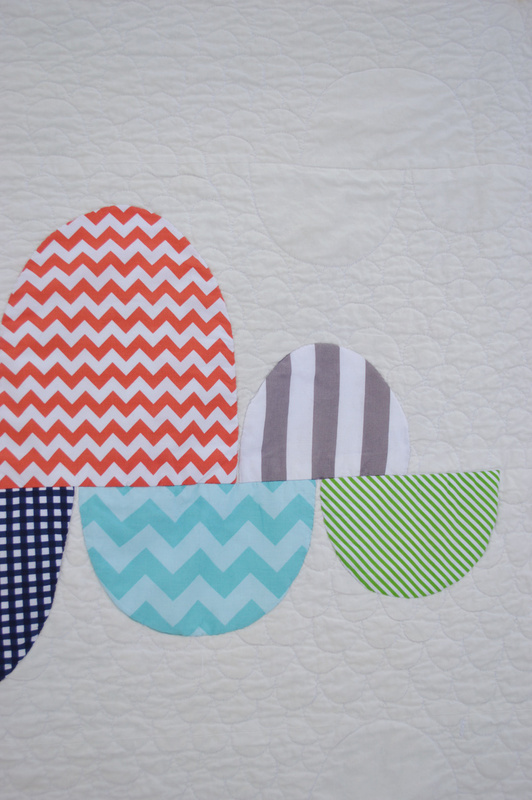 Can you see the scallop quilting? There are four cloud outlines hidden in the white. A little splash of color against our milk sky, our snowy roof-tops, and the black, bare trees. 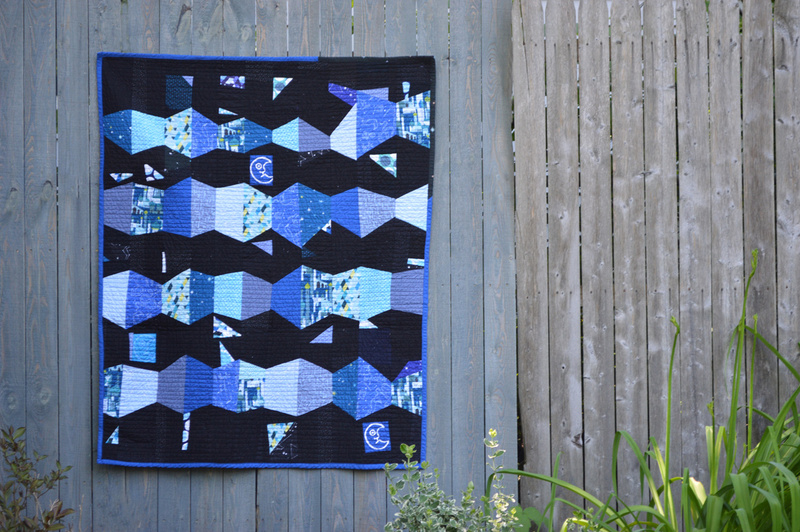 This quilt was made for the MQG Riley Blake Challenge. Members of the modern quilt guild were sent fabric bundles of Riley Blake designer quilting cottons. 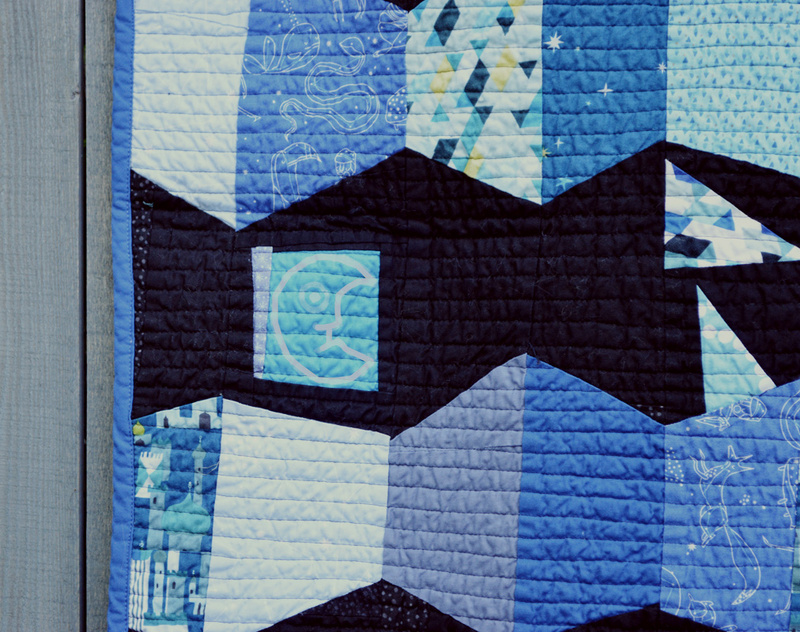 The Ann Arbor Quilt Guild is also having a challenge! 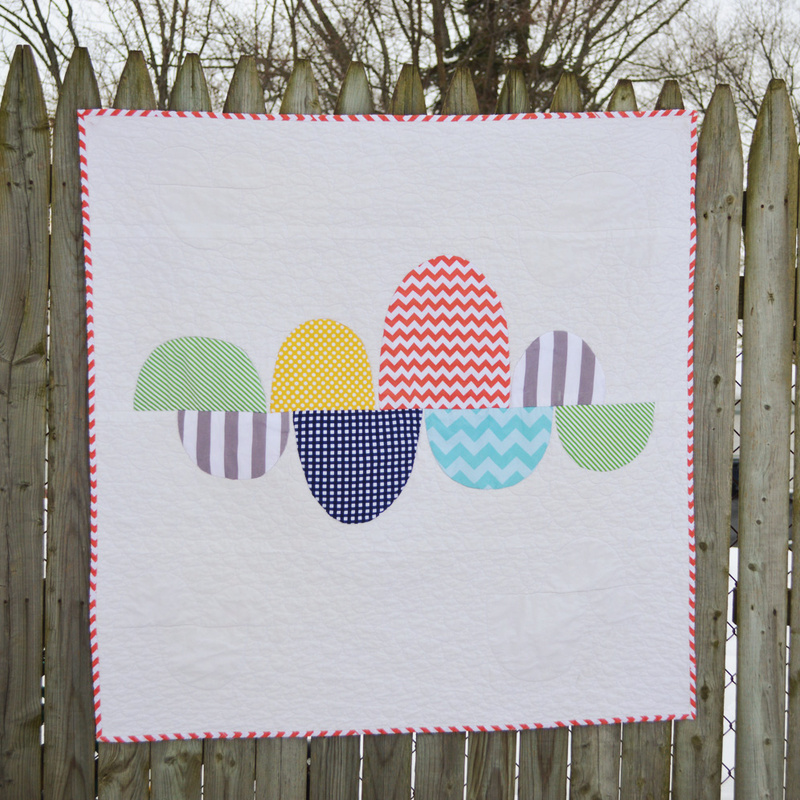 Our members will pick a favorite and win a stack of fabric! 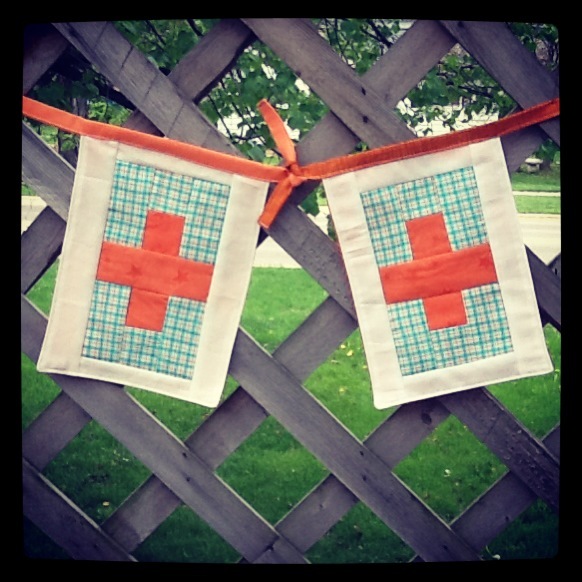 “Archicoop” – more pictures here – and featuring my homegirl Rossie who teaches this applique method. 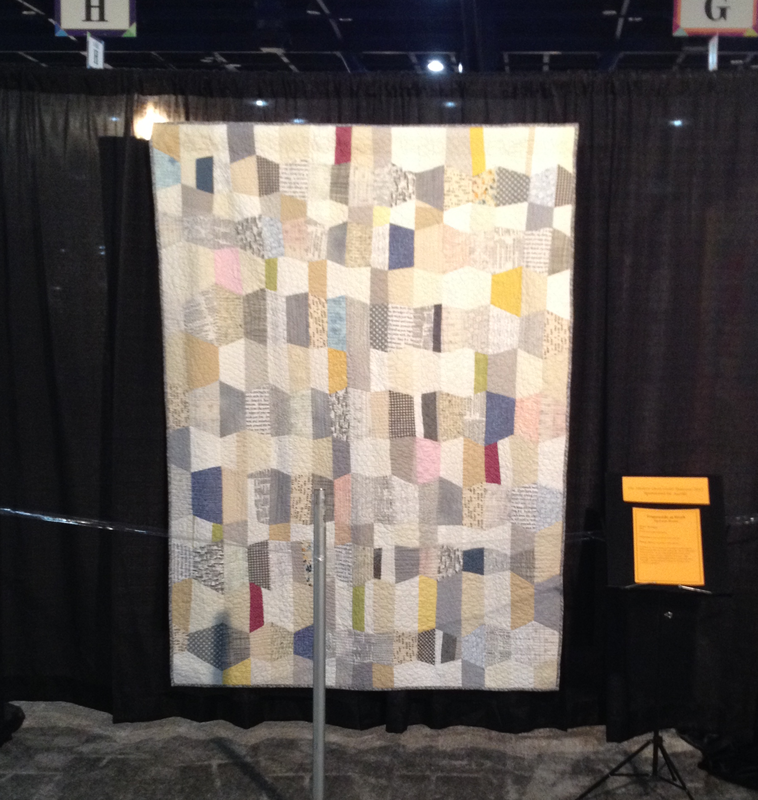 The Vancouver Modern Quilt Guild had the wonderful idea on how to bring some joy to the community of Boston. They asked quilters and sewing-enthusiasts to piece little flag pennants and have organized for them all to be on display in Boston soon! It’ll hopefully bring a bit of cheer and I can’t wait to see pictures of everyone’s flags decorating the city. The organizers have already received over 600 flags (!!!!) which will be on display at The Museum of Fine Arts Boston from May 25th through July 7th. You can see more flags here!